After launching, most start-ups struggle to come to grip with acquisition thus limiting their growth potential with a likelihood of going bankrupt subsequently. This arises mainly from not setting a defined path to acquisition. Enabling online acquisition can be quite tricky and may pose a slippery-slop especially in selling software online. Why? It is important to note there are a number of steps involved before a visitor becomes a customer and acquisition is the first of such steps. Thus if acquisition – which is at the top of the funnel – is broken, the entire funnel becomes redundant. For instance, you may have returning customers but if you cannot acquire new sets of customers, growth becomes stall and maximum business potential may never be hit, thereby likely affecting sustainability. In this article, I intend highlighting the main keys to understanding acquisition. Be rest assured it is pretty much easy to comprehend. Inside the Pirate Metrics framework, Acquisition is the very first step of the funnel. It refers to people who arrive on your website and sign-up. Note that people who sign up are in the “Acquisition” process. The next step, Activation, refers to when they really start using your software. This article will focus on the first half of Acquisition – getting visitors to your website to sign up. More details about the other half in another article. Do we really need Acquisition? Focusing on retaining customers – although worthwhile – is not enough. To an extent it could even be transcribed as an anti-growth concept. Focusing solely on one part of the funnel will only limit your growth potential. Thus, each part of the funnel must be equally evaluated and optimized from time to time. Putting all energy in one part (be it Acquisition or any other) will most certainly harm your business. Convincing customers to pay for your product or software is the first step to building a successful business. Without this, there is no cash and without cash it is almost impossible to grow your business. To ensure that customers go through the funnel stages (to Revenue), you have to make sure that there is enough customers at the top of the funnel. Without those customers, there will be no customers at the end. 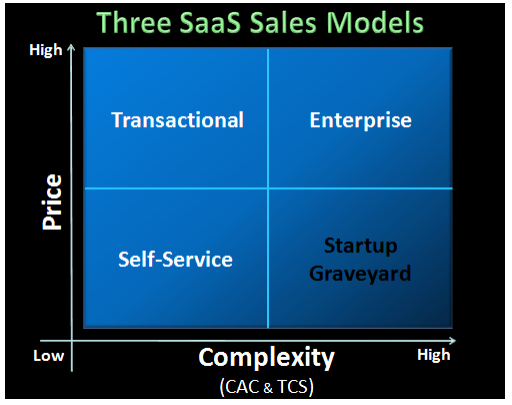 Acquisition is one of the primary activities of every growing SaaS businesses. Be sure to invest the necessary time and energy. Many Entrepreneurs would say that you should start to sell your solution as early as possible. I completely agree. Selling your solution will allow you to verify that you’re fulfilling a need and that your solution fits in the market. It’s primary if you want to be successful. Without that, people won’t see the value of your service. However, starting to create a “scalable & repeatable” acquisition system, during the early days of your startup can harm your business. 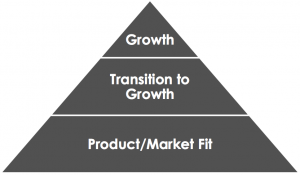 Start scaling the Acquisition before the Product / Market Fit, reduces your agility to pivot. Startups pre-PMF are very likely to pivot and change their value proposition overnight. If you pivot after implementing your Acquisition, you’ll struggle to iterate easily. Before the PMF, you should focus solely on doing things that don’t scale. Don’t start to build your acquisition machine too early. Start by satisfying few paying customers. When you validate a fit between Customers and your Product, then you can start by developing & scaling your Acquisition. This question boils down to the Customer Acquisition Cost (CAC), in other terms: How much money do you have to spend to acquire one new customer? Depending on what you’re selling, Customer Acquisition may represent a very high proportion of your cost structure. Some companies spend more than $150 to acquire one customer. They’re of course profitable. Without profitability, they could not continue doing it. However, for most young startups, spending $150 per new customers may not be the way to go. Acquisition is expensive. Customers have to go through many steps before becoming paying customers. Acquisition needs to populate your funnel in order to get as many people as possible to the last step of the funnel (Revenue). Acquisition is expensive until your funnel is fully optimized. Once you reached this step, you can calculate your CAC / LTV. Then you know how much you need to invest in order to get back this investment. The complexity of your Sales Funnel will have high impact on your Acquisition. If you sell a software to companies for 10k$ per month, you won’t develop the same acquisition system as a self-service software for SMBs. Acquisition is only expensive before you figure out which tactics works. After developing a robust Acquisition system, you can calculate your CAC / LTV and get a clear forecast of each methods. Building an audience and optimizing a website takes plenty of time. It’s not something you could easily do in your spare time. Some people specialize in Acquisition and there is a reason for this; acquisition is not a walk in the park. Why so? It is because there is plethora of channels and techniques to boost your Acquisition. However, you have to test all of them, measure what works, and what doesn’t. Why time-consuming? Once you have found what’s working and what’s not, you now have to implement everything. Running a Content Marketing strategy could need a full-time employee. So if you are handling the support, the development of the product… You won’t have time to do everything. 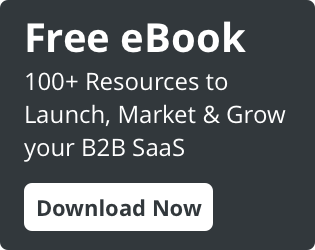 We can see more than enough best practices and growth hacks to boost your acquisition. The keyword “best practices online acquisition” returns more than 95 million of results. Everything is not good to apply to your business and you may even harm your business. Your Acquisition is fully integrated inside your specific Business Model. So take it into consideration. 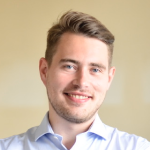 If you want to read more about this last point, you can read the article “Are You Using the Right SaaS Customer Acquisition Model?“. Following guidelines (not best practices), is a good thing. Blindly following everything you read out there can be damaging for your business. Take good care of REALLY verifying your Value Proposition before starting Acquisition: the later you discover your mistake, the more you’ll struggle to pivot. As a key guideline, don’t start your Acquisition before attaining the Product / Market Fit. Starting your acquisition too early can have disastrous outcome for your organization. You need to get your product ready before starting to think about acquisition. Do you think Apple would have put on the market the first iPhone if they had no idea it would be successful? No, of course not. To ensure this, they tested the product before putting it out there. Starting your Acquisition too early can kill your business. You could spend your last dollars trying to acquire customers when your solution is not yet ready for the market. Acquisition is part of the “search for a repeatable & scalable sales model”, so start when you’re in this phase. If you’ve already started (pre-PMF), stop right now. Re-focus on your product. Verify you’re fulfilling a need and that there is demand for your product. When you are, you can start testing your Acquisition. Try to understand what are their problems. What do they search for, where and how? This will help you to select your channels and to craft your marketing message. 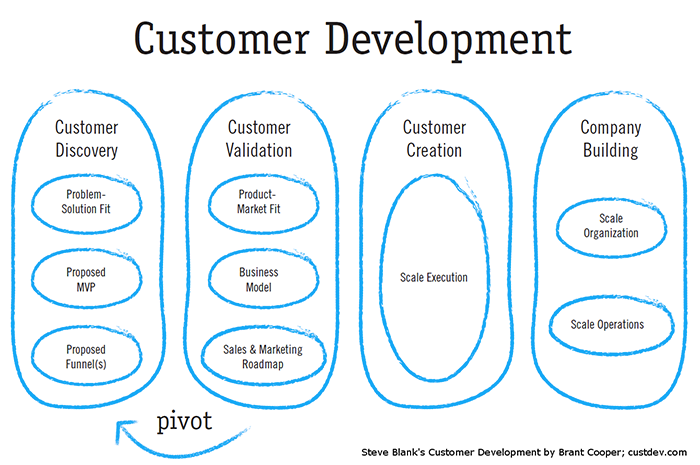 Understanding your Customers is primary, in Marketing, but also in Business (& Product Development). You have to create an offer (& Marketing Strategy) that is customer-driven and compelling to them. Plenty of Entrepreneurs in Acquisition are focusing on visitors. Visitors is only a vanity metric: it doesn’t say much. You could have 10k visitors with 1 conversion. Is that good? No. You’d rather after 100 visitors with 20 conversions. When you are looking at metrics, look at Usage & Engagement metric (Bounce Rate, Time on Page…) in order to figure out if you traffic is really targeted. Startups often struggle in figuring out what their Value Proposition is. Explaining your product is primary to the success of your organization. When people arrive on your website, you only have a few seconds to catch their attention. So be sure to have a Clear & Compelling Value Proposition that appeal to them. You should start by talking to your customers to discover what they truly value in your offer. You should also remember the words they use to describe it. Crafting a message that resonates to your audience is even better. Acquisition is something you have to test if you ever want to drive results. You have to think about new tactics and techniques, implement and try them. When you experiment, thoroughly measure results in order to understand (quickly), what is working and what is not, you’ll then be able to modify your strategies to take into account results and progress. The main issue with Experiments is the duration. For how long should you run this new experiment? It has to be long enough to prove the value (or lack thereof), but short enough to ensure agility. Don’t forget to document your experiments and their results. Experimenting is almost the job of a scientist. Be thorough. Experiment often, and you’ll be the Acquisition (and SaaS) winner. If you want to be successful at experimenting, you need to follow a process such as The Growth Hacking Process. There are more than enough Channels to think about. However, young startups generally only focus on one or two and completely forget about experimenting others. Relying only on SEO or Social Media can hurt your Business. Google may release a new version of their algorithm. Twitter may ban your account. You never know what can happen. Diversifying is primary if you want to be successful in Customer Acquisition. Experiment new channels when you have some spare time and it will payoff. I’m not saying you should be active on 20 channels at the same time. I’m saying you should experiment plenty of them. Once you know what works, you need to go deep, not wide. If you don’t have a lot of resources, both human and financial, focus on what matters. 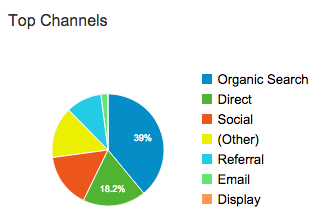 Meaning that, if you have a specific channel with a conversion rate of 20%, focus on this one. I’m not saying that you should stop experimenting. I’m saying you should focus your energy on what is driving results. Continue experimenting new techniques, but allocate most of your time to the techniques that already work. Once you get more resources you’ll be able to invest more time in acquiring customers and therefore rely on more channels / tactics. Customer Acquisition is of primary importance for your business. You actually don’t have a choice. Without a good Acquisition strategy, your business may die overnight. Follow the path of successful startups. Don’t start Acquiring users if you can’t yet prove the value of your service. Once you proved it, people will jump over the table to buy your products; you’ll see the sparkle telling you that you can now proceed to the next step. Learn from your customers. They have the key to your success. If they use your product frequently, there is a reason. Figure it out. (Most) People are eager to discover new tools that can help them save time / money. However, you have to make sure that your solution is really keeping on its promise. It’s your turn now: What do you think? What channels worked in the past? What have you done to make them work? How many did you try? I help B2B SaaS companies to build & manage high-performance Marketing teams so that you can build a sustainable business. Want to grow your business? Get advice to grow faster with Growth Marketing straight into your inbox. Subscribe below. I’ll email you whenever I have something interesting to share. Once or twice a month.